Let’s take a quick moment to review the types of panels and the focus they take as McCloud discusses in Ch. 6 of Understanding Comics that we just looked at. Word Specific –basically relies on the words to tell the narrative while imagery acts as a kind of ornamentation. Picture Specific –is the inverse of Word Specific. Here the use of words acts as ornamentation to the imagery or pictures that are conveying the actual narrative. Additive –is where the words serve as a means of amplifying or elaborating on the image that is communicating the narrative. Parallel –demonstrates a situation where the words and images appear to be conveying “parallel” but separate narratives. This can be more easily identified or isolated often times when one is only shown a page or panel or two of a comic or graphic novel without knowing the entire context. It can also represent some esoteric storytelling too. Montage –is where the words and images are part of the same framework. This is where the words in particular become part of the actual image. Inter-Dependent –is noted by McCloud to be the “most common” combination. This is where words and pictures/images convey different meanings separately but in combination convey a meaning that neither has without the other. So, basically, this is novel told through the form of comic-strip, comic book, cartoon drawings. This video is designed for introduction for students who are entering, First-Year students, the University of Tennessee. It is becoming a common trend for institutions of higher learning to use graphic novels to help communicate themes and ideas they want to cultivate in incoming freshmen. Now, this created a bit of controversy at Duke University last year when incoming freshmen were recommended (but not required) to read Fun Home by Alison Bechdel. One student, Brian Grasso set off part of this controversy by upholding that reading the graphic novel and some of its themes of homosexuality and sexual awakening violated his Christian beliefs (article linked here). On the other hand, as the controversy developed, others have defended the selection of the graphic novel. The hard reality though to all of this here, is that graphic novels can be a place where expression can push the boundaries and be more than simply about superheroes. Here is a good place for us to take in the big picture. Here is a good place for us to take what we know and find out more about what me might not know too. What are some of the terms you found unfamiliar? Speaking of controversy, it was controversy that first inspired me to want Graphic Novel Rationale (and not just ones with superheroes). In your own words, what is a graphic novel? There is so much disagreement (among ourselves) and misunderstanding (on the part of the public) around the subject of the graphic novel that it’s high time a set of principles were laid down. Since we are not referring to the traditional literary novel, we do not hold that the graphic novel should be of the supposed same dimensions or physical weight. Thus subsidiary terms such as ‘novella’ and ‘novelette’ are of no use here and will only serve to confuse onlookers as to our goal (see below), causing them to think we are creating an illustrated version of standard literature when in fact we have bigger fish to fry, that is, we are forging a whole new art which will not be a slave to the arbitrary rules of an old one. While the graphic novelist regards his various antecedents as geniuses and prophets without whose work he could not have envisioned his own, he does not want to be obliged to stand in line behind William Hogarth’s Rake’s Progress every time he obtains a piece of publicity for himself or the art in general. The goal of the graphic novelist is to take the form of the comic book, which has become an embarrassment, and raise it to a more ambitious and meaningful level. This normally involves expanding its size, but we should avoid getting into arguments about permissible size. If an artist offers a set of short stories as his new graphic novel, (as Eisner did with Contract with God) we should not descend to quibbling. We should only ask whether his new graphic novel is a good or bad set of short stories. If he or she uses characters that appear in another place, such as Jimmy Corrigan’s various appearances outside of the core book, or Gilbert Hernadez’ etc. or even characters that we do not want to allow into our imaginary ‘secret society’, we shall not dismiss them on this account. If their book no longer looks anything like comic books we should not quibble as to that either. We should only ask whether it increases the sum total of human wisdom. The term graphic novel shall not be taken to indicate a trade format (such as ‘tradepaperback’ or ‘hardcover’ or ‘prestige format’). It can be in unpublished manuscript, in partbooks or other serialisation. The important thing is the intent, even if the intent arrives after the original publication. The graphic novelists’ subject is all of existence, including their own life. He or she disdains the cliches of ‘genre fiction’, though they try to keep an open mind. They are particulary resentful of the notion, still prevalent in many places, and not without reason, that the comic book is a sub-genre of science fiction or heroic fantasy. 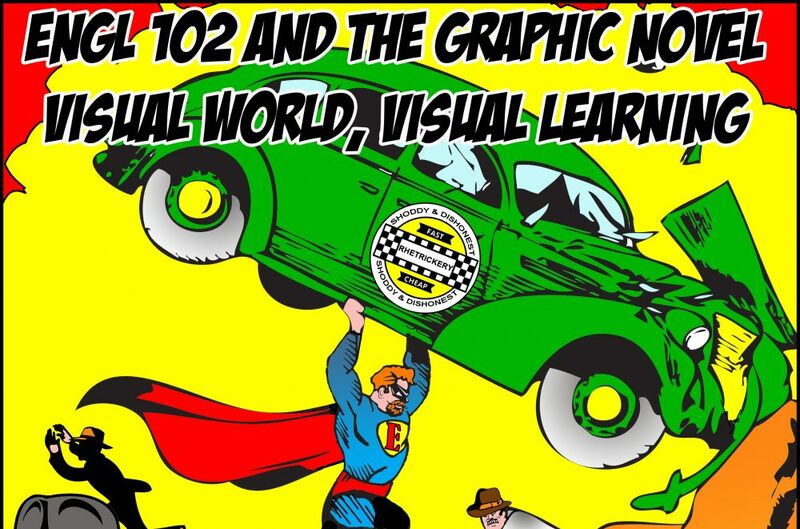 Graphic novelists would never think of using the term graphic novel when speaking among their fellows. They would normally just refer to their ‘latest book’ or their ‘work in progress’ or ‘that old potboiler’ or even ‘comic’ etc. The term is to be used as an emblem or an old flag that is brought out for the call to battle or when mumbling an enquiry as to the location of a certain section in an unfamiliar bookstore. Publishers may use the term over and over until it means even less than the nothing it means already. Furthermore, graphic novelists are well aware that the next wave of cartoonists will choose to work in the smallest possible forms and will ridicule us all for our pomposity.